Welcome to the Field Advisory Committee [FAC] website. 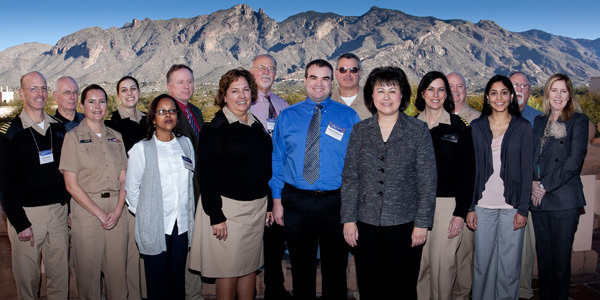 The FAC is made up of the entire Indian Health Service [IHS] dental staff of commissioned corps, tribal and urban programs, and is represented by an executive committee. The committee consists of a representative from each of the twelve IHS Service Areas, as well as one representative each from the Area Dental Officers, Clinical Specialists, Registered Dental Hygienist, and the Dental Assistants. The guiding principle and ultimate goal is the improved oral health of the Native American / Alaskan Native populations. To achieve this mission, the committee members strive to bridge the gap through better communication between the clinical IHS staff and the IHS leadership. Therefore, to present an accurate assessment of the needs and the obstacles faced in the field, the executive committee is interested in the views and concerns of all IHS dental staff. These observations from the field help the committee to make recommendations and to give support to the leadership in its development of improved policies and solutions.